Used to prevent and eliminate moss and mould growth on masonry, paths and walls can also be used on roof tiles to prevent lichens. 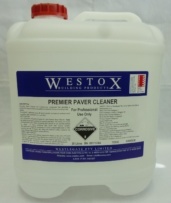 5 parts water to 1 part Premier Paver Cleaner. Wet surface and leave.